Everybody wants a piece of Mark Zuckerberg. He’s a busy guy with a lot of people trying to get his attention. In the wake of his “not-a-data-breach” scandal, users anxiously waited five days to hear from him, British Parliament would like some personal time, and now a House Committee has officially asked the Facebook CEO to call them, maybe? Will he? Won’t he? For now, Zuck’s playing hard to get. On Wednesday, the 33-year-old titan of tech did his belated media rounds to explain how his company lost control of 50 million users’ personal data and why it has buried that fact since 2015. When he was asked by CNN’s Laurie Siegel if he’d be will to testify before Congress, Zuckerberg was coy. 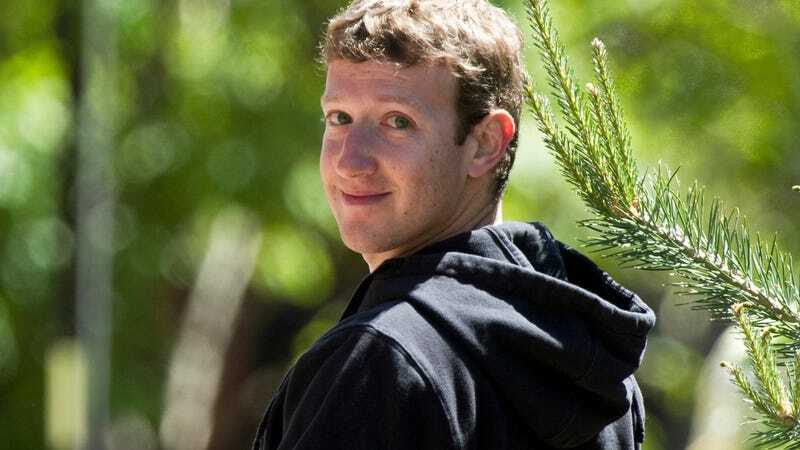 He said he would be “happy to if it’s the right thing to do,” but “what we try to do is send the person at Facebook who will have the most knowledge.” Always humble, surely Zuckerberg knows that no one could possibly fill his shoes. We’ve reached out to Facebook for comment and to ask if Mark has decided whether he’ll appear in the House or not, but we know his dance card is full. We’ll update this post when we receive a reply. UPDATE: A Facebook spokesperson told us, “Mark made comments about this in his CNN interview last night – have nothing to share beyond that.” Classic Mark.